Women dominated early computer programming, but they've been overlooked by history. Claire L. Evans always saw herself as an internet native. But in recent years, the tech journalist and lead singer with the band YACHT started to feel as though "the internet was no longer my country in quite the same way," she said, as "toxicity" on social media and other factors changed online culture. That realization was the starting point for her new book, Broad Band: The Untold Story of the Women Who Made the Internet. She wanted to understand how we got to our current state of digital culture. Tracing successive waves of computer innovation, the book takes us from the story of Ada Lovelace, who, in the 19th century, envisioned a future of computing, to the rebellious cyberfeminist culture of the 1990s. Women played a crucial role at the dawn of the computer age in the 1940s, working as programmers on giant early computers, such as the ENIAC. "Software was this sort of afterthought. It was something seen as being on the level with being a telephone operator," she explained. "The first people hired to operate the earliest computing machines were women, because women were already kind of doing the math that those computers were designed to replace." They learned to be programmers without benefit of programming courses, or in many cases, instruction manuals. Broad Band weaves a tale of women finding their place in computing because they were early adopters, and at least in part, because many people didn't realize how extensive and life-altering these technologies would prove to be. "I think there's something to be said for these 'new domains'," said Evans. "When a new technology arrives, there's a lot of space there to articulate a role." The ARPANET, for example, was the proto-internet network designed in the 1960s by the US Department of Defence. A key role was to connect computer scientists with computing power remotely. At a time when there were no browsers or interface for the network, Elizabeth "Jake" Feinler ran the Network Information Center at Stanford. "If you wanted to find out what resources were available at other computers on the network, you had to call this office…[Feinler] was kind of this hybrid librarian/air traffic control/administrator/secretary, the central information resource for the entire internet," Evans explained. While much of the history documented in Broad Band took place in research labs or subcultures, today, the digital is a huge economic engine, and at the centre of our conversations about our economic and cultural future. 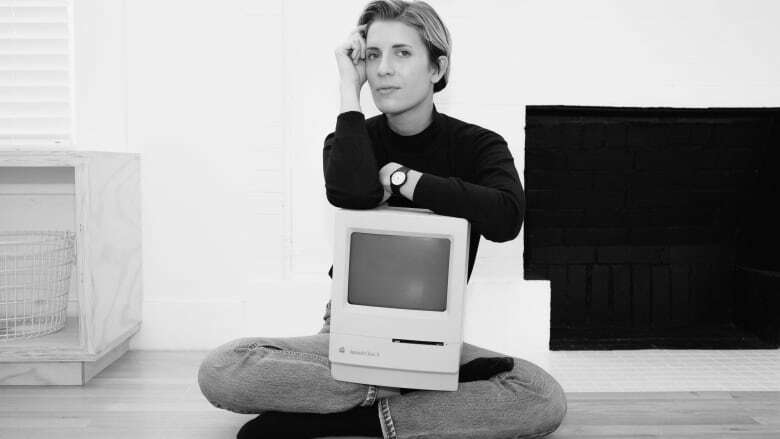 "The masculinity of tech is one thing, but...I think money has done a lot to tech. I think money is maybe more the problem than some kind of gender division," Evans argued. "You look at early network culture, and it has this egalitarian spirit because nobody was getting rich." Why guess someone's mood when an AI can tell you?